Architectural Testing has evolved to become a necessary requirement for multiple types of openings and cladding – why not rooftop equipment and complex facades? Testing provides empirical evidence for engineering calculations as well as finds potential weak points that are either overlooked or impossible to foresee with engineering analysis. • For structural performance, ASTM E330 is used for windows, doors, skylights, and curtain walls. This uniform static air pressure difference structural testing, in addition to ASTM E1886 and E1996 impact and cyclic pressure testing, provides valuable data to ensure engineering analysis is correct and the units are performing as required. • For metal wall and roof panels, ASTM E1592 can be used to test for structural performance. 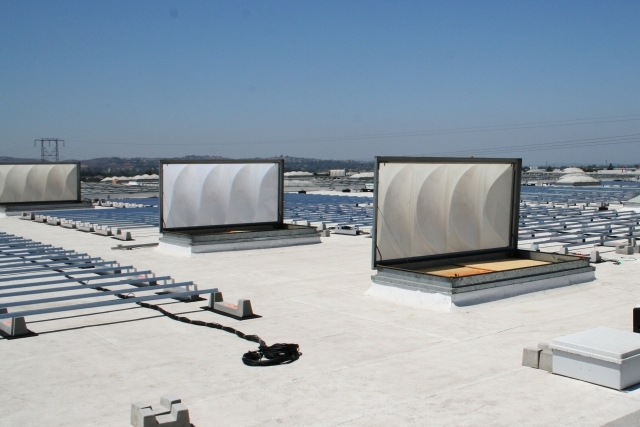 • Roof membranes can be tested for uplift resistance using ASTM E907. what testing should be performed for those things of which they are unsure. These decisions may be minor such as movement or vibration, which can cause wear or damage over time. Although not evident at first glance, an engineer may find these unacceptable, so the standard would have to be adapted for the particular component and method of testing. The reason a test standard would be helpful is that components, such as rooftop units (RTUs) or those attached to curtain wall systems, including fins and sunshades, are typically a delegated design, which has no structural test standard. What this means is that the structural engineer and architect pass the responsibility for ensuring these components meet wind loads to the designers of these components. RTUs are designed by mechanical engineers, where the most important factors are mechanical functions (as it should be). Typically these engineers do not take into consideration the high wind load potential on a roof. Roofing contractors will attach blocking and possibly attach the RTUs, but the wind resistance of the RTU itself is the responsibility of the manufacturer. Some types of RTUs may require additional mechanical anchors, such as cables or frames, to transfer the wind loads to the structure. backup for engineers to consider when designing mountings or attachments for these different components in high wind zones. provide aesthetics. Structural failures with these components can cause safety concerns for people on the streets and sidewalks below. Although widely used, these components are typically unique to each project; therefore, little guidance is found in curtain wall literature or building codes. Manufacturers may provide load tables or general calculations, but it isn’t always clear to a designer what engineering has been done to back up that information. The wind loads acting on these flexible and lightweight shades and fins are difficult to estimate or even measure with a traditional pressure tap in a wind tunnel test. More recent studies have used hot-wire anemometry to perform wind tunnel tests and provide a better estimate on the attachment loads that are away from the building. deformation may help the engineer refine the design of attachment components to prevent failures in the field. 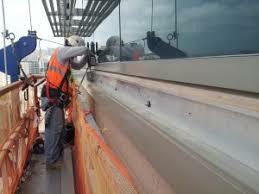 that using 304 or 316 grade stainless steel fasteners are required by some code revisions in coastal areas. loads, which is typically handled by the manufacturer. to reference and use in their design of similar components would be helpful. In many cases, such as custom signage, identical configurations could be used worldwide near coasts or high winds and would be worth having a tested assembly. The test standard would likely require different parts for different types of these miscellaneous building components, and would most likely have different types of apparatus to apply the loading. 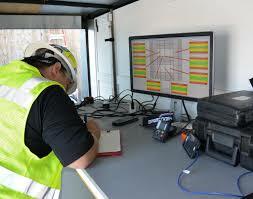 For architectural testing companies, equipment such as wind generators, deflection gauges, load cells, mock-up walls, and roofs are used regularly; however, since standards do not exist for these components, engineers typically have to come up with an improvised test to see how their building components perform.